After a rocky middle section, Awkward.‘s third season finale pulls off a dazzling finish as Jenna (Ashley Rickards) – and the show – come full circle. Awkward.‘s super-sized third season delivers the series’ first supersized episode in the form of ‘Karmic Relief’, an hour of wit and cat iconography that’s ultimately overshadowed by a hugely predictable non-twist ending. As Awkward. moves towards its third season finale, Jenna (Ashley Rickards) continues to find her way back to her old friends and her old life. What she discovers is that it’s not so easy to go back to being the same person after everything that’s happened. After sitting through some of the darkest episodes of the series, it’s comforting to see Awkward. take a more light hearted approach. Not that ‘The Campaign Fail’ isn’t still packed with significant moments. Awkward. opts for a double dose detailing the final stages of Jenna Hamilton’s (Ashley Rickards) downward spiral, but has the damage she’s created doomed her recovery? 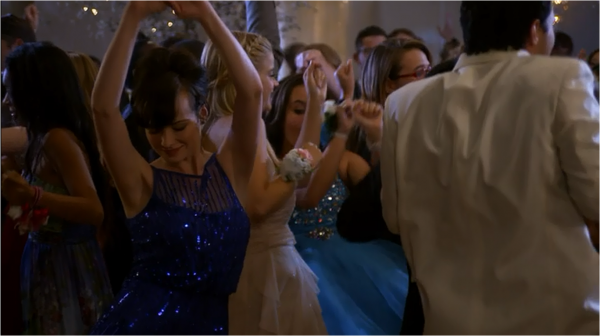 Will the real Jenna Hamilton (Ashley Rickards) please stand up…and put out the joint? Awkward.‘s protagonist has gone into full-on despicable territory in a realistic, albeit non-entertaining fashion.